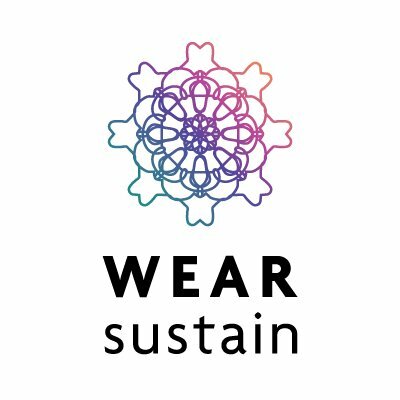 What eTextiles can do for you? 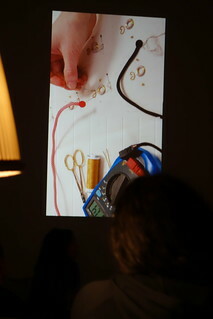 We invite Irene Posch to present her recent work on eTextiles and share her ideas on what eTextiles can do for us. 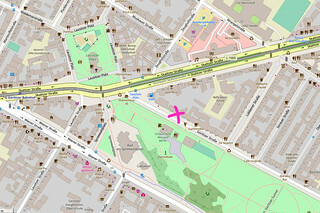 Irene Posch a researcher and artist with a background in media and computer science. In her current work she explore the integration of technological development into the fields of art and craft, and vice versa, and cultural and aesthetic implications thereof. She previously worked with the Ars Electronica Futurelab designing and realizing interactive exhibits and exhibitions and as freelancer on design and technology research projects. She has been teaching at the University of Art and Industrial Design Linz, the department for New Media – Technology – Culture at the University of Klagenfurt and the New Design University in St. Pölten. She carried out residencies at the V2_Institute for the Unstable Media Rotterdam (NL) and the Eyebeam Art&Technology Center New York (US), the Tactile and Tactial Design Lab, University of Washington (US) and the Teachers College at Columbia University (US). She co-initated and worked as the key researcher of the artistic research project ‘Stitching Worlds’ at the University of Applied Arts Vienna, Institute for Industrial Design II headed by Fiona Raby. She pursue her PhD work at the Institute for Design and Assessment of Technology headed by Geraldine Fitzpatrick, Vienna Technical University. We had a nice group of friendly and interested audience this evening. 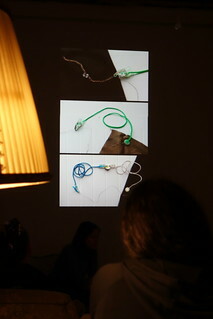 Irene has talked about her work on e-textiles tools that is still on going, and the embroidered computer project that has been recently exhibited in Vienna. 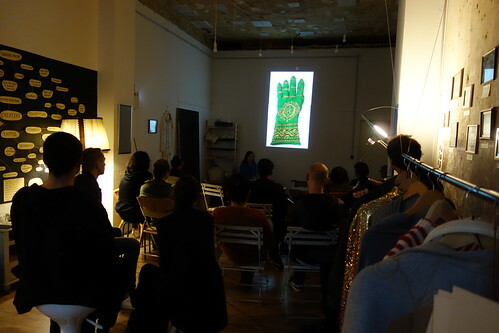 She had brought some material samples from the computer which audience could see in their hand. 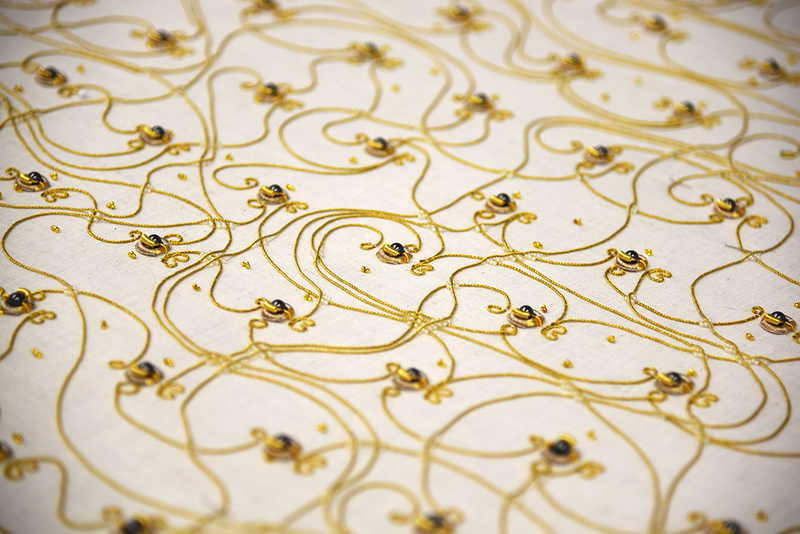 She has explained the detailed process of the development that let us understand how these embroidery was made. The making-of movie also gave the impression of the development process. The presentation ended with intimate Q&A session. 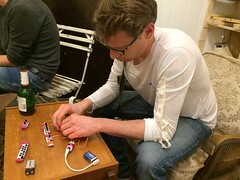 We were all amazed with the fact that this embroidered textile computer actually functions, and many questions were around the function of the computer and embroidery techniques and materials used in this project. 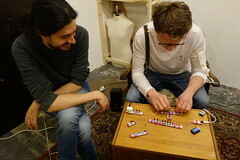 The evening ended with the live set by DJ woolpunk playing little bits analog synthesizer.